So much controversy has been stirred up recently about women in Hong Kong. There is one distinctive quality, however, marked by women across all age groups, namely, their longing for love. As long as men are no longer able to inspire romantic fantasy, there comes the time for the uprising of the feminist movement, a declaration for the independence of women, that they no longer have to bow to the necessities of love as suggested by the recent problems regarding the "spinsters". The feminists have a distaste for what we may call the intrinsic qualities of women, rather than acknowledge their emotional sensitivity, they assure us the difference of masculinity and femininity a result of indoctrination, rendering women capable of being as emotionally independent as men. Women should no longer see independence as a potential shame. Does women's longing for love really arise from indoctrination? Is every line of modern western thought worthy of our honour? However unlikely traditional thought guarantees wisdom, it seems feminism has risked inspiring an unfair neglect of traditional ideas and a misguided enthusiasm for social science. Just when we are encouraged by the democratic vision of being individuals, the emphasis of the notion "I", anthropologists remind us that we are all in fact social animals. Our existence, however unwilling, has to be defined by others' perceptions and feelings. People allow us to be beautiful only when they look at us with an aesthetic eye. They allow us to be funny only when they have a cultivated sense of humour. They allow us to be compassionate only when they are as well compassionate. The so-called "intrinsic" qualities of ours can only be found when others possess the same. Our personalities can only be artistically expressed through the recognitions of others. Without companions, our qualities will become vacuous, rendering our life meaningless. But one may inquire, "What about friendship? What about parental love? Do they not give grace to life as romantic love does?" The fact that women long for love perhaps bears the wisdom of an age-old philosophical question. Character operates like a work of art that requires both artists and appreciators. 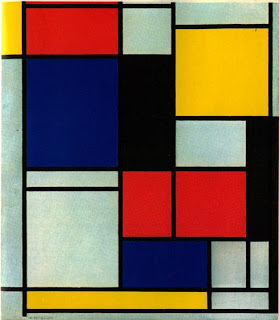 Piet Mondrian's "Composition" may seem nonsense to someone who is deprived of aesthetic sensibility and someone whose knowledge of art history does not include that of abstract expressionism. In like manner, in order for someone who can understand and appreciate our characters, we need to find the right persons to appreciate them. What does this say about the relationship between women and feminism? Feminism, when pursued beyond a certain degree, can be extremely destructive. It seeks to destroy the inherent qualities that render women charming and elegant. It undermines the value of diversity by blurring the distinction between masculinity and femininity. Who could tell whether Hilary Clinton is a man or woman? Women do not necessarily have to be hypocrites to declare independence as an attempt to cover up the "weakness" of emotional dependence. We are all at heart the victims of romantic love. It does not downplay our individualistic nature, but only to emphasize the fact that we all long for love. An important thing is pointed out here, whether willing or not, our existence ought to be defined by others' perceptions. As we are not rational animals, we have self-doubt moments. Some people have self-esteem issues, some people doesn't doubt oneself that much; it all depends on one's bringing up background. The point is, for me, is not how "women be hypocrites to declare independence as an attempt to cover up the 'weakness' of emotional dependence"; instead, it is how we should stop intentionally or unintentionally hurting a person's feelings or trying to damage a person's (perhaps already low) self-esteem by condemning someone undesirable. This also applies to defining beauty, and anything falls outside the frame should be condemned; since this also prompt to "undesirable" as well. We all are social animals and we crave for accompany, what is more horrible than hinting someone that they are undesirable? I guess that helps to induce so much panic of single women merely 25, since everybody's telling them they will be less and less desirable when they get older. I'm not especially on either side of nature/nurture, they both shape who we are and how we interact with rest of the world.